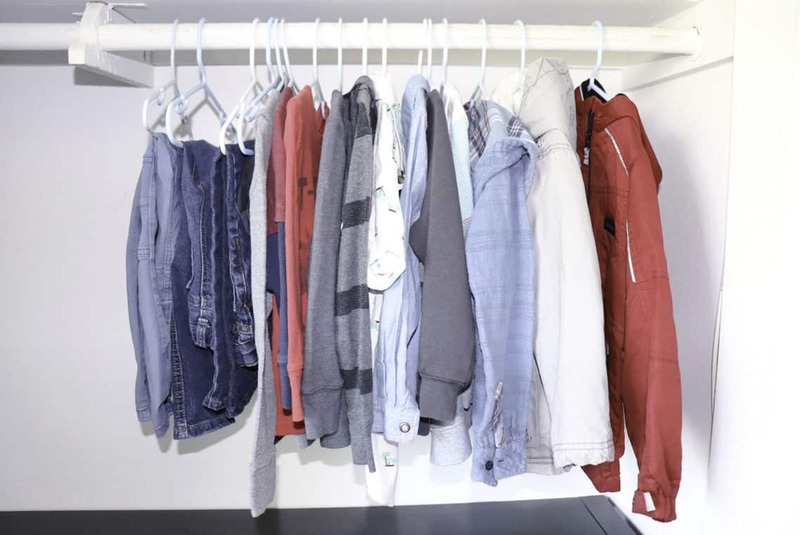 A Fall capsule wardrobe for boys is an easy cheap way to simplify your life and the amount of laundry you have to do each week. 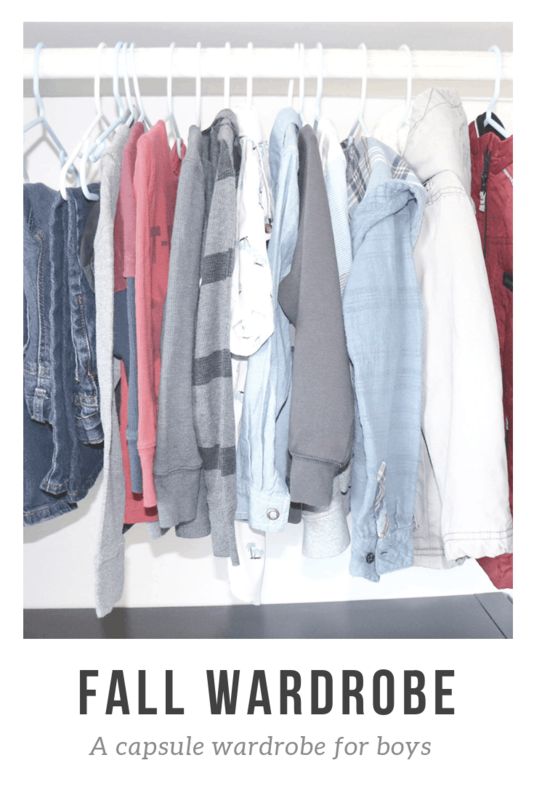 This Fall I am trying out a capsule wardrobe for my boys. 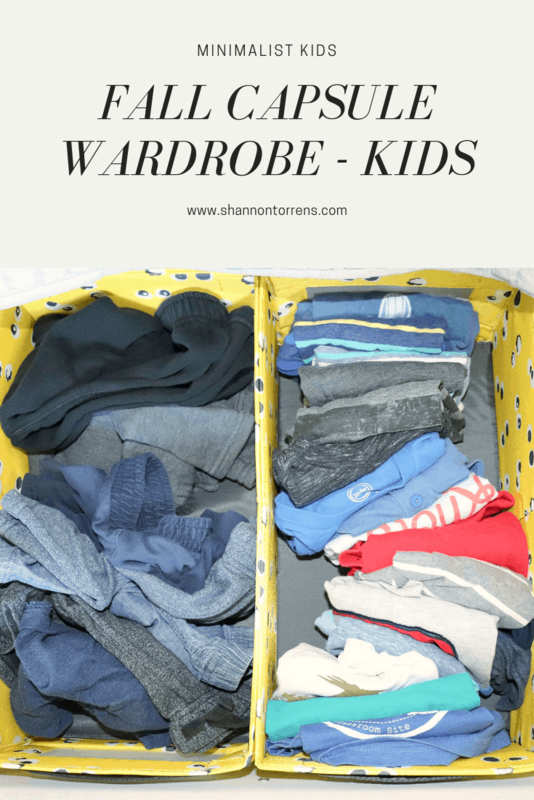 By being extremely mindful of the clothes I buy or rather didn’t buy the kids this last year, I have been able to pair down the amount of items we have. The few things I bought them in the last year was only out of necessity. I personally like to have enough clothes for at least a week in a half. We could probably make it with less, but we already have the clothes and its nice to have some variety. To be honest my kids have their favorite clothing items and they seem to always choose those same things. Luckily for me they are into comfortable inexpensive clothing and I am happy to let them wear what they want. 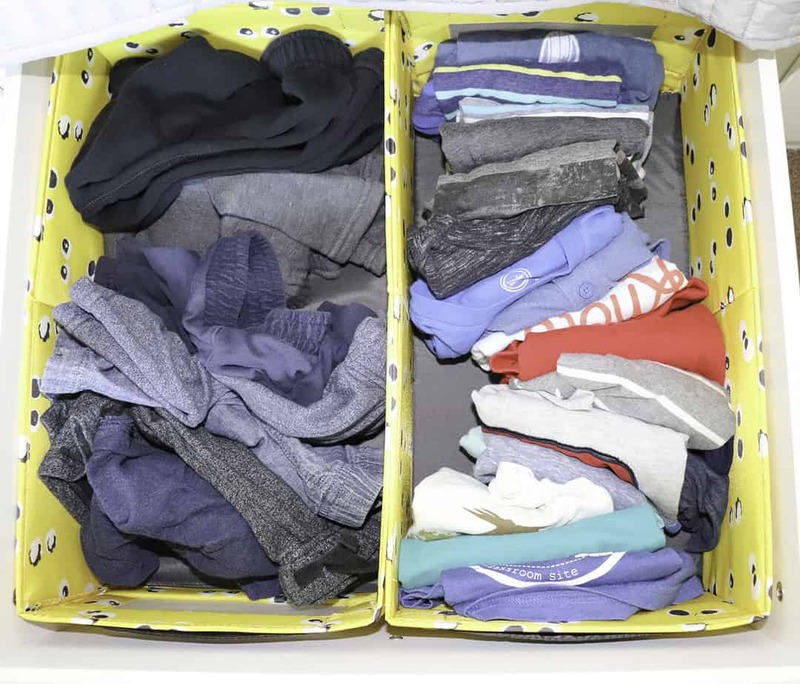 I use the above organization storage boxes in the kids drawers so that way they can put away their own clothes without any confusion. We have about 30 clothing items for them to choose from not including shoes and jackets. My future goal is to wait till each season gets here and then go shopping on a need only basis using the items that still fit them and are in good condition. Join Our Simple Living Community – Get Your Password sent to you! Hi, I’m Shannon. 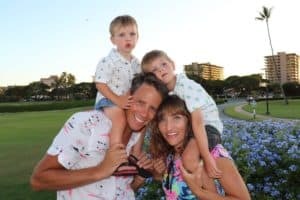 I live in Southern California with my husband and 2 boys. I write about how we strive to live a simple life: home organization, minimalism, simple living, and a handmade home. I hope to inspire you to enjoy a simplified life. Thank you for stopping by, I’d love for you to subscribe so that we can stay in touch!